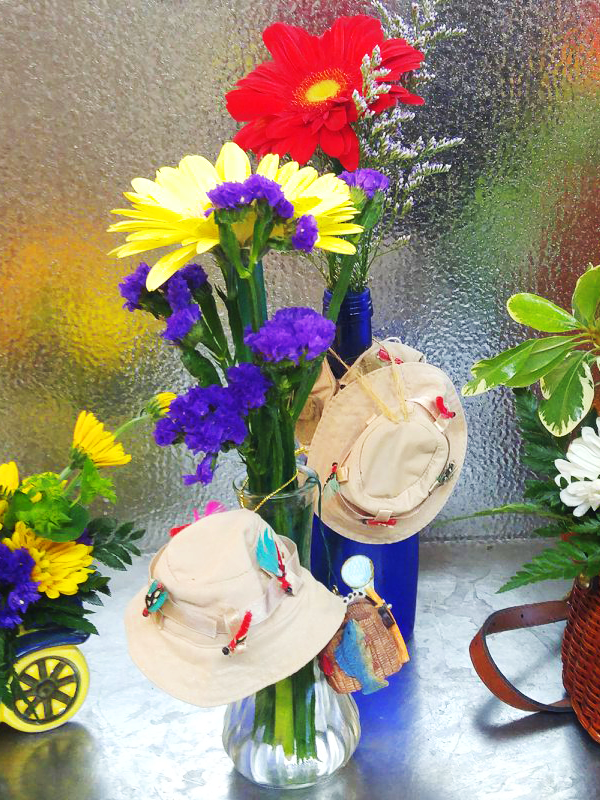 Gillian offers a number of floral creations to make every holiday memorable. 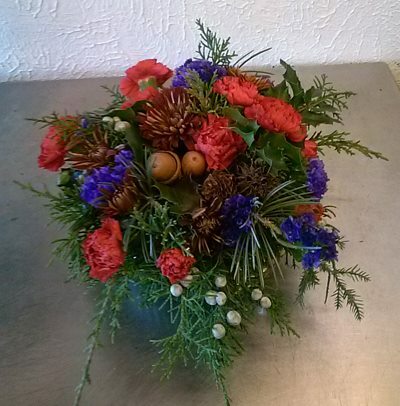 Below you will find a variety of arrangements that Gillian has created for holidays past. Choose from these creations, or let them inspire you to request a new design. 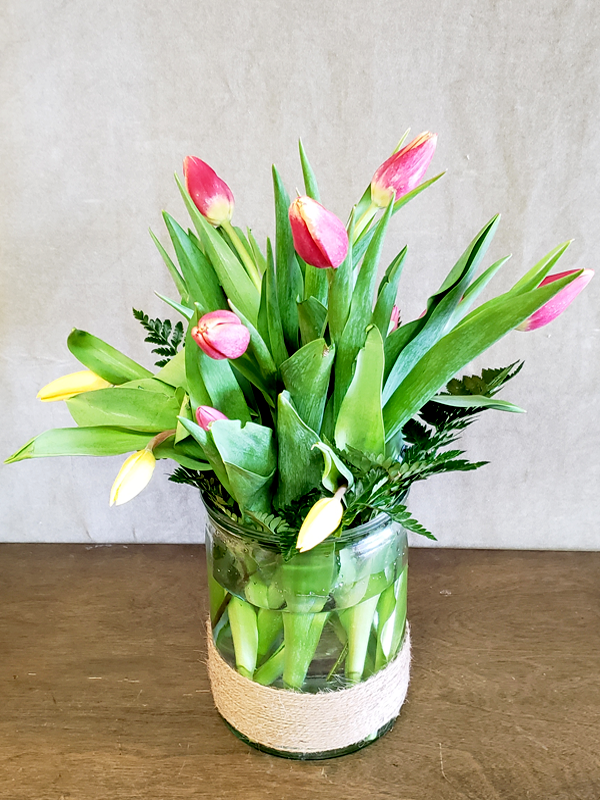 Gillian offers numerous bouquets that include a classic Easter flower: tulips! 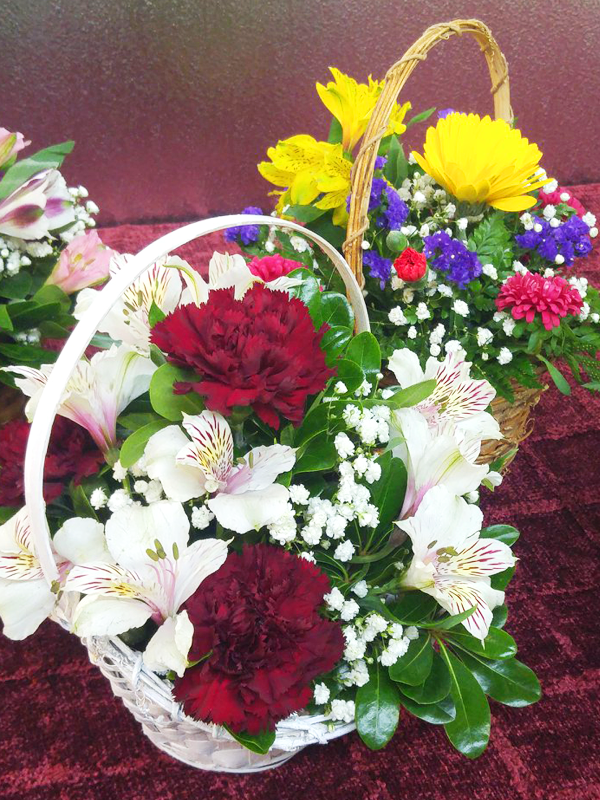 Gillian offers a number of spring basket arrangements that are perfect for Easter table settings and Easter photos. Add a touch of formality to your Easter festivities with majestic blooms. Let one of the most important persons in your life know that you are grateful for her on this Mother's Day. 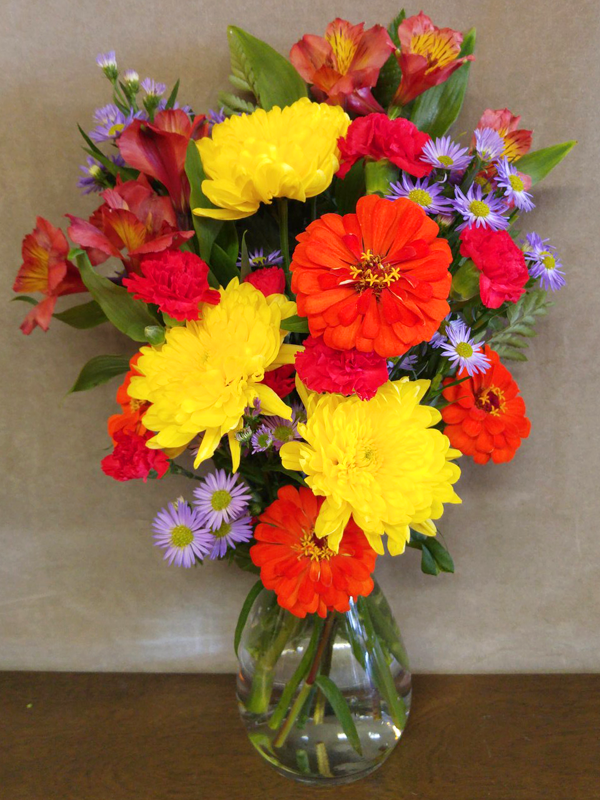 Send a sunny arrangement to celebrate Mom, and let her know how much you care. 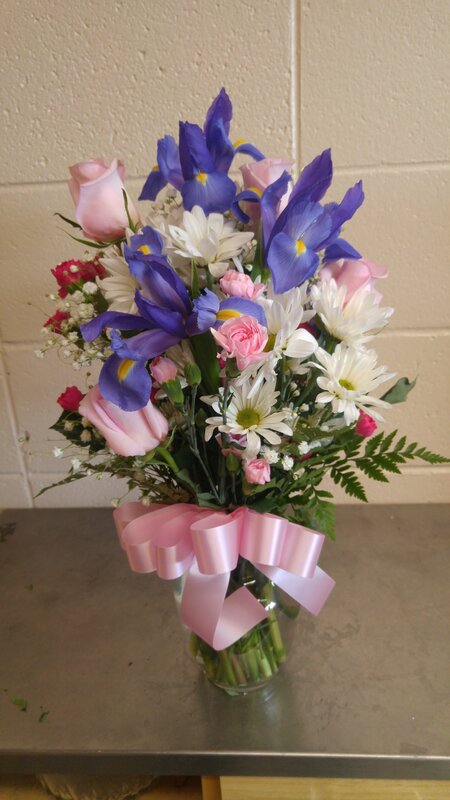 Do you know a special person who will celebrate her first Mother's Day this year? 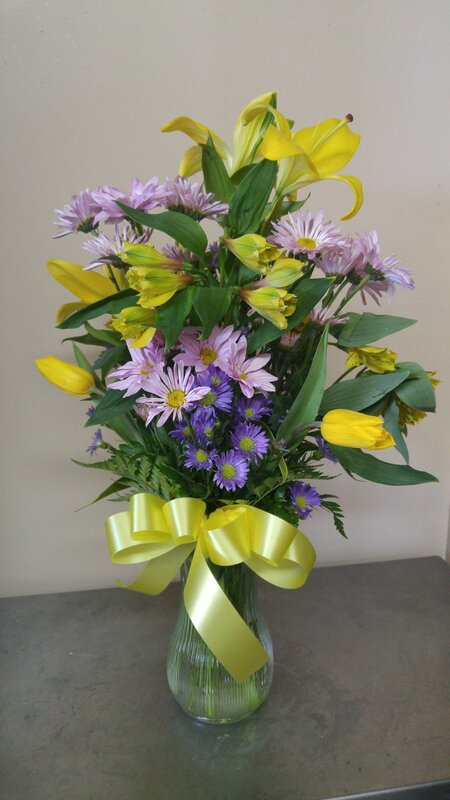 Send a fresh arrangement to welcome her into motherhood for Mother's Day, or anytime to celebrate a new birth! Gillian offers Thanksgiving and Harvest holiday-themed arrangements that are colorful reminders of the spirit of Thanksgiving. 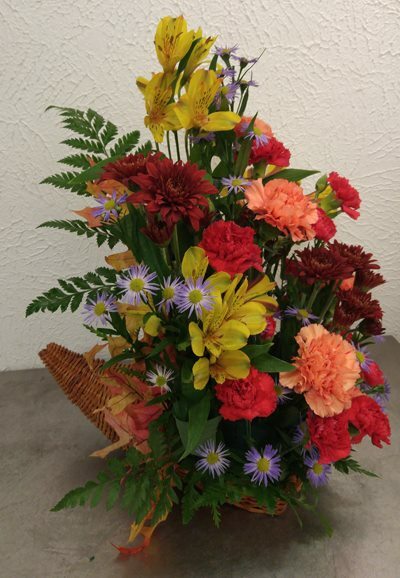 Set a bountiful table or give a lavish fall gift with floral arrangements set in a charming cornucopia. 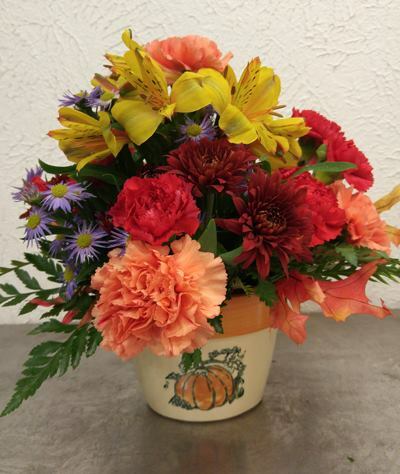 Celebrate Thanksgiving, Halloween, and other fall holidays with this unique arrangement: alluring fall colored-blooms set in a pumpkin! Other unique autumn containers, such as squashes and cauldrons are available, just give Gillian a call. 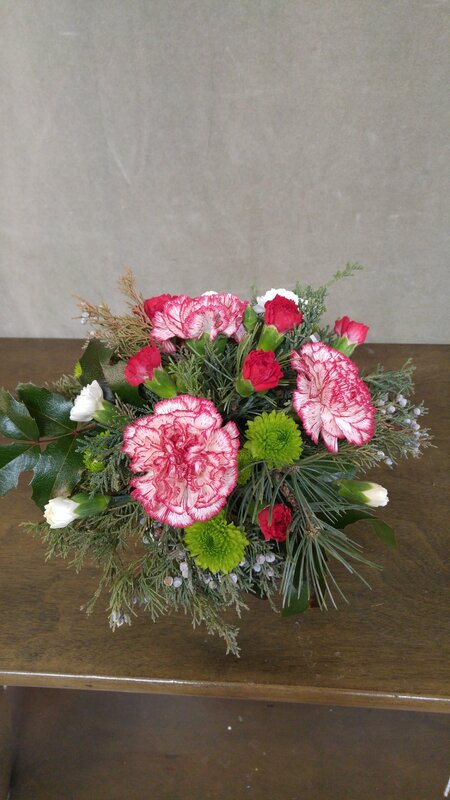 Gillian offers a variety of holiday-themed arrangements that are perfect to add to your decor or as a centerpiece to welcome visiting family. 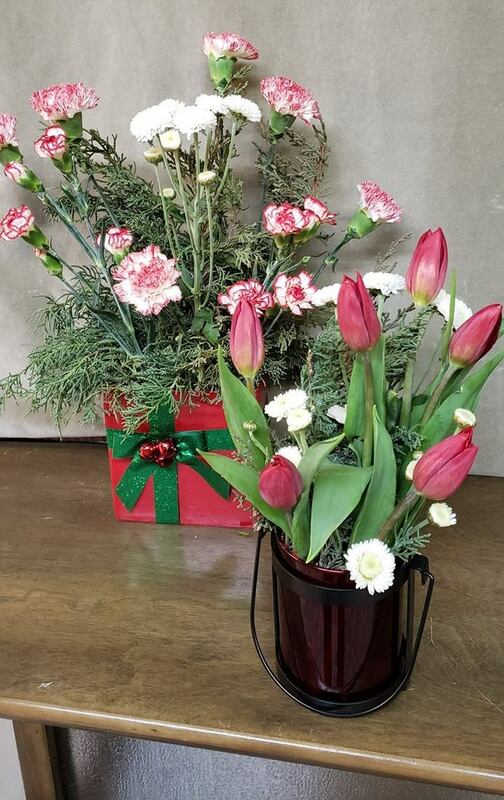 Express your holiday spirit with unique arrangements that add whimsy and merriment to your decor or gift-giving. Gillian offers many options to enhance the festivities of any winter holiday. Do you have a particular holiday celebration in mind? 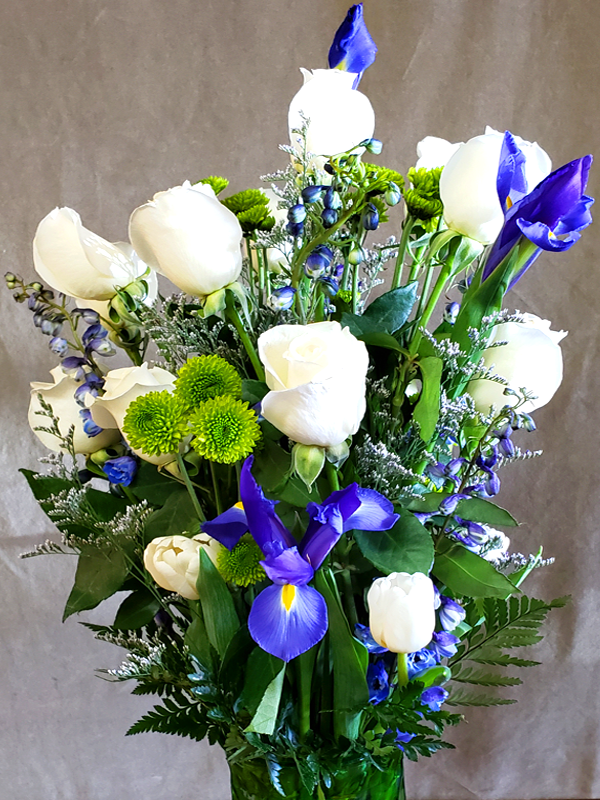 Gillian will work with you to make your floral arrangement just right. Father's Day is celebrated in the third week of June. 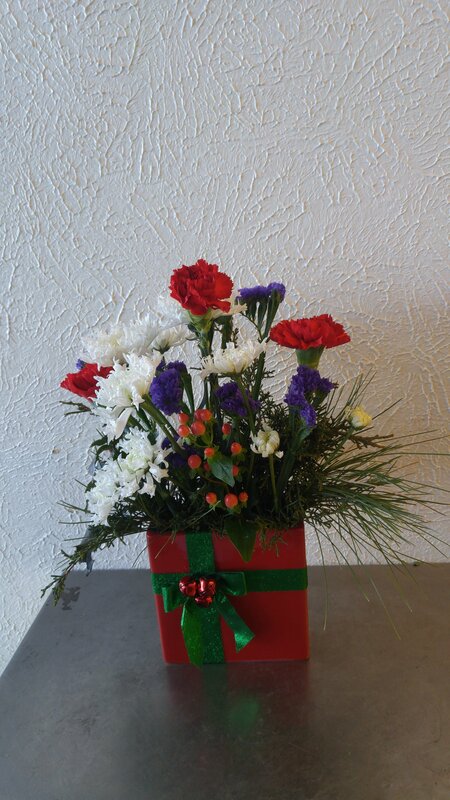 Why not send that special man in your life—father, son, brother, spouse, friend—a special arrangement just for him? 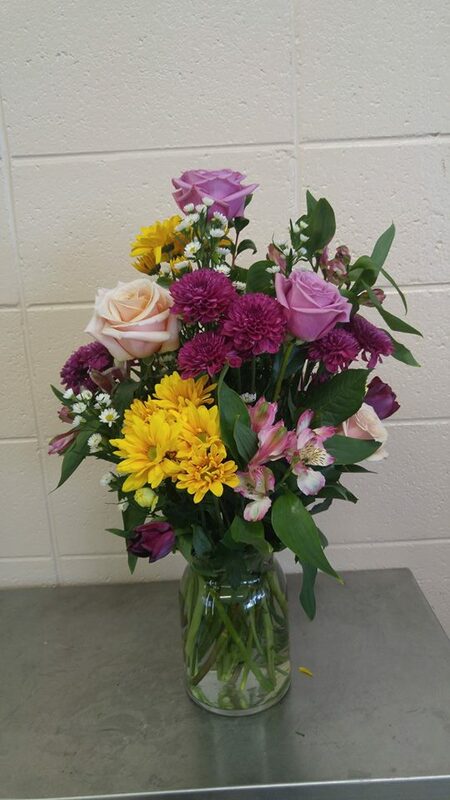 Call and ask about arrangements that will remind him that you care. May Day, the first day of May, is a holiday celebrated all over the world, in recognition of spring, or to recognize workers everywhere. Do you want to celebrate a colleague? A fantastic boss or an excellent employee? 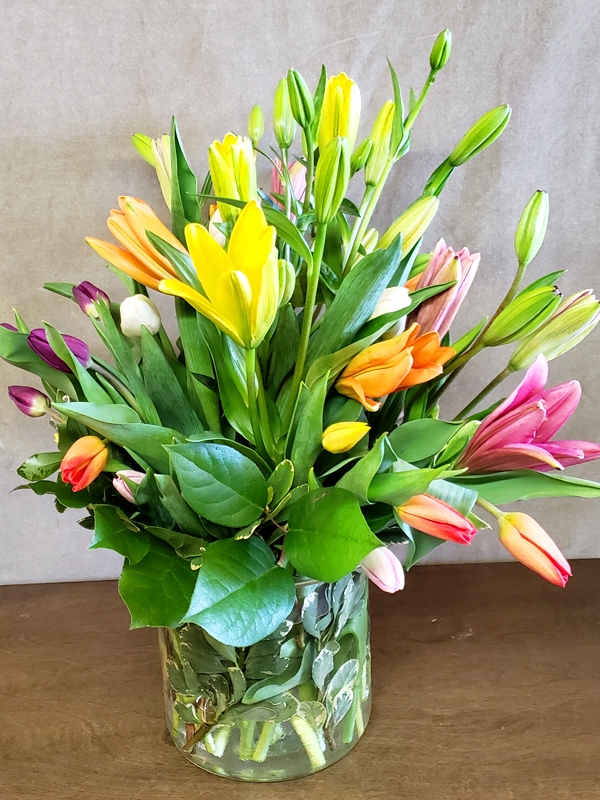 Send them a tasteful arrangement to acknowledge their hard work.